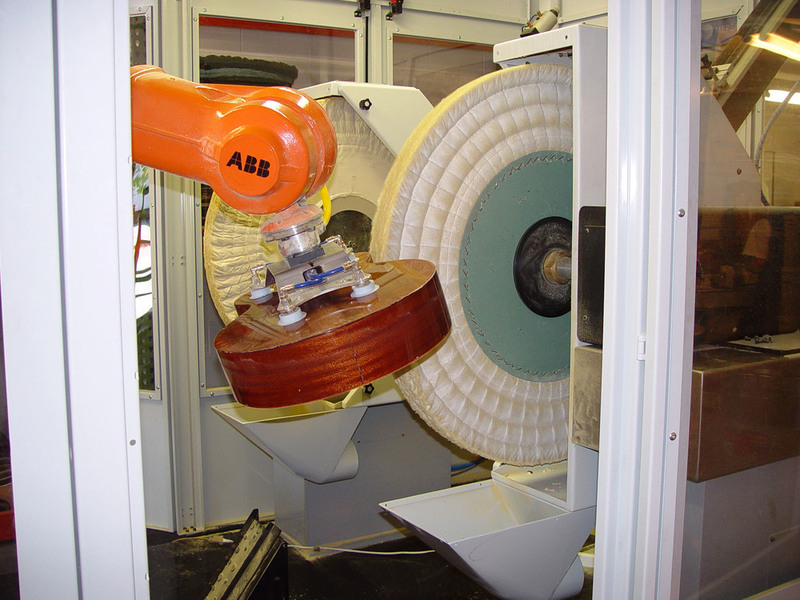 Pinnacle Technologies is the world leader in robotic abrasive belt polishing and buffing. We combine cutting-edge technology with hands-on experience in the chemistry of polishing and buffing. Pinnacle Technologies' robotic solutions enable highly repeatable quality in all types of surface finishing operations. Take the variables out of your production process with Pinnacle's robotic automation systems. Automating your finishing operation significantly reduces cycle times, decreases the risk of injury and costly workman's comp claims and reduces scrap due to human error. Take advantage of Pinnacle Technologies cutting edge robotic solutions and add to your bottom line. 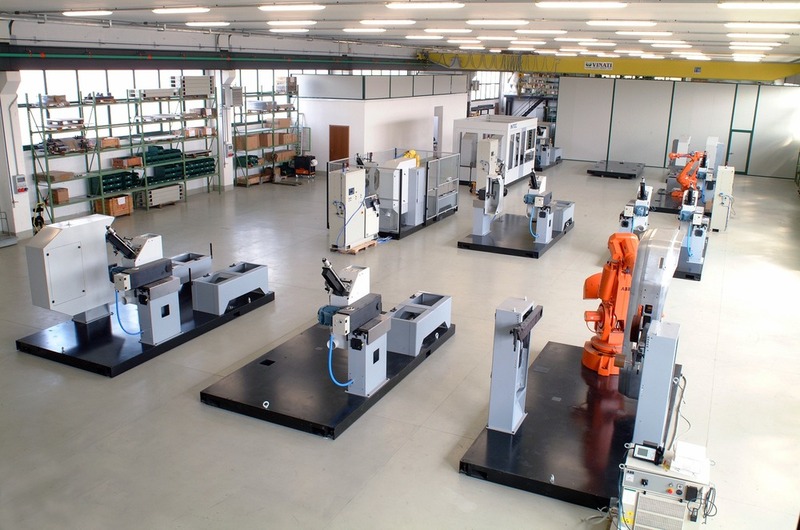 Pinnacle Technologies is successfully demonstrating to major tool manufacturers how combining two or more robotic cells can produce much higher output with significant cycle time reductions. Many of the world's leading manufacturers of orthopedic implants are utilizing Pinnacle Technologies' robotic cells to automate gate grinding, belting and buffing processes. Pinnacle Technologies' robotic cells are also used in many non-metal applications such as buffing acoustic guitar bodies as well as wooden interior trim for automobiles. "Long term relationships are based on experience, trust and coming up with the best solutions. We pride ourselves on providing excellent service before, during and after the sale with all our clients." There's nothing ordinary about your business. Why should your metal finishing process be any different? That's the whole idea behind the custom applications practice at Pinnacle Technologies. Before we produce any robotic finishing cell, we'll come to your facility, research your manual operations, and only then determine which robotic finishing cells are right for you. Additionally, we'll examine the parts you are finishing, scrutinize the process, then develop a system that is guaranteed to increase the speed, efficiency and cost-effectiveness of your operation. Everything is backed up by a comprehensive training program for programmers and operators of the unit. Don't settle for just any robotic finishing cell. Make sure your system has been specifically designed to meet your needs. Contact us for free a consultation today.